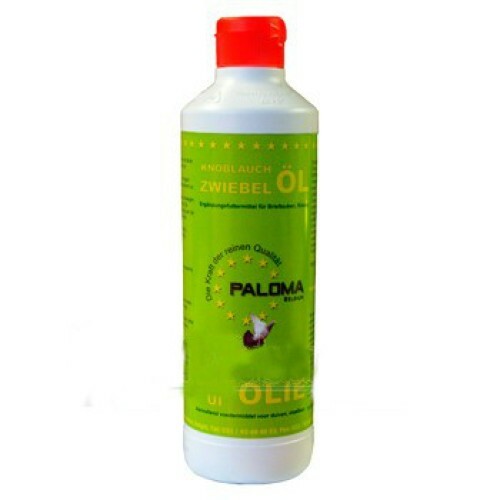 Lookolie 200 ml by Paloma is garlic oil, 100% natural immunity, ideal for treating pigeons and birds throughout the year. - Contains essential vitamins and amino acids for the doves. - Promotes the physical condition of the pigeons. - It has healing properties. - Has an anti parasitic effect. - Enhances the assimilation of food. - Mix 30 drops of product per kilogram of food.